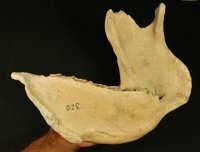 Rare South American Glyptodont Jaw [EDEN489] : Fossils Online, Welcome! 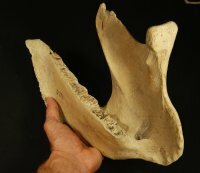 Massive jaw with great dentition. Nearly impossible to obtain anymore. 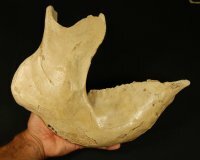 The outer layer of bone is flaking in some areas, but there is no danger of it falling off. Collected years ago.